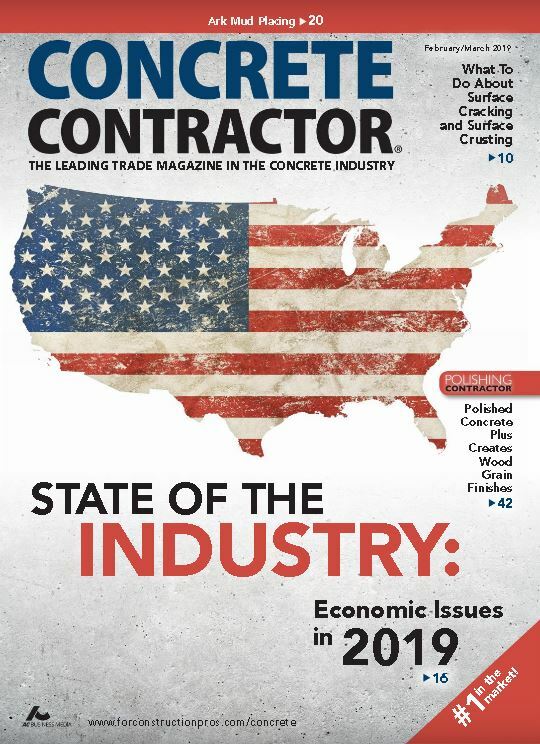 HMI’s Deep Foamjection™ is featured in the 2019 FEB/MARCH publication of Concrete Contractor Magazine. With more press about Deep Foamjection™ the more your customers are going to be asking about this process and YOU need to be ready. HMI – Announces NEW DEEP Foam Injection Process “DEEP Foamjection” Polyurethane Solutions and Soil Repair. 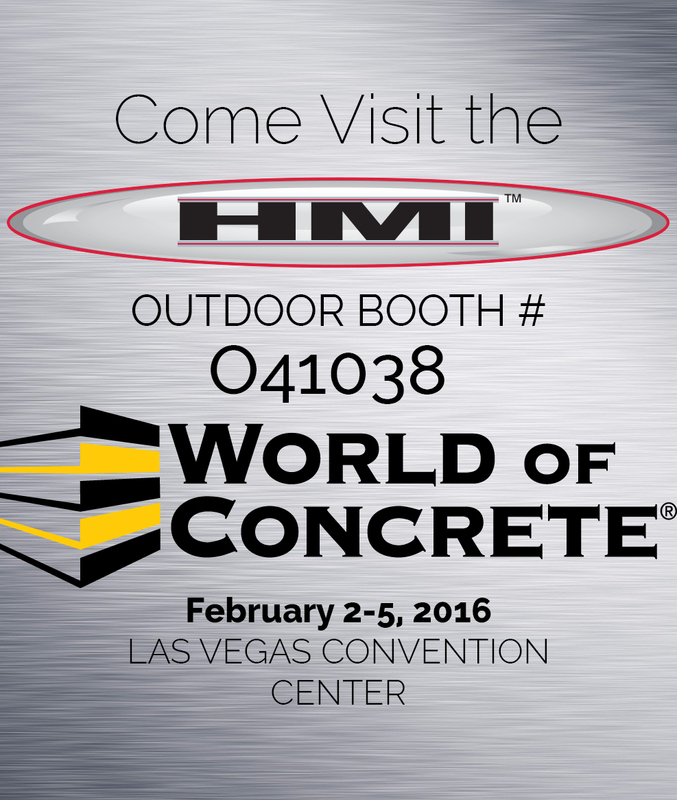 Annual international event dedicated to the commercial concrete and masonry construction industries. Jason and Teddy of the HMI service and training department recently traveled to Shanghai, China to build and assemble a HMI Polyurethane Concrete Lifting and Leveling unit for a new customer. Teddy was eager to return to China after his previous trip to lift and level the Beijing airport in 2015. THE CUSTOMER – HMI’s new customer currently applys epoxy to city roadways and saw the potential in adding concrete raising as another service. By lifting and leveling the roadways first, this allows for more efficient application of the epoxy material. The main crew did not speak english, so the company’s consultant was happy to help translate. HMI is proud to be named MIP 2017! Entrepreneurs purchasing Concrete Lifting Equipment from HMI can qualify for participation in a special financing program from Advantage+, which includes working capital loans to fund business growth. HMI, the Undisputed World Leader in Development and Distribution of Concrete Lifting Equipment and Processes, Is Now Offering Its Customers NEW Equipment Financing Options and Access to Working Capital Lending. HMI, the world leader in development and manufacturing of concrete lifting processes and equipment has announced the release of a NEW polyurethane injection gun designed specifically for concrete lifting. The “EliteONE” has been in design for years and is now available to polyurethane concrete lifting contractors. Manitowoc, WI. (May 10,2016) — Hydraulic Mudpumps, Inc. (HMI) has earned the USDA Certified Biobased Product Label for its RR 401GB. The USDA Certified Biobased Product Label verifies that the product or product family’s amount of renewable biobased ingredients meets or exceeds levels set by USDA. Biobased products are finished or intermediate materials composed in whole or in significant part of agricultural, forestry, or marine ingredients. 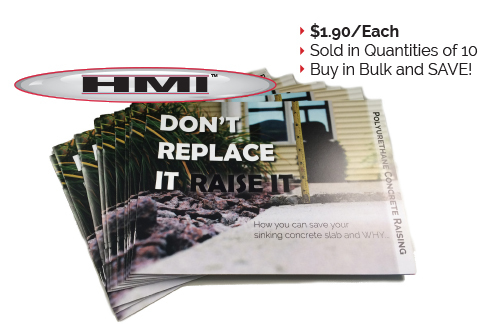 In Need of Professional Concrete Raising Marketing Material? 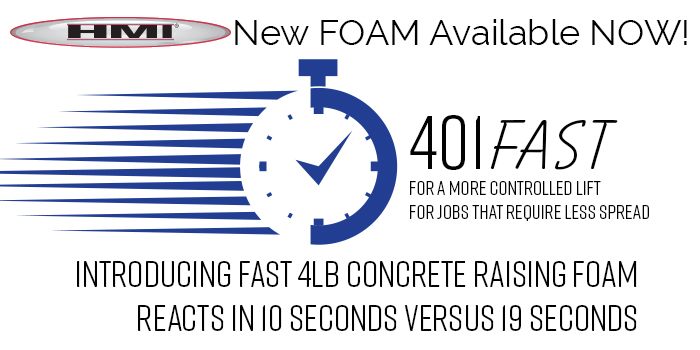 Now Available– 16 page informative polyurethane concrete raising booklets. Answers all of your customers questions! We make it easy for you! Get your company’s info printed on a sticker and put in the corner of this booklet to hand out to potential customers! or Request a proof so you know exactly what to expect! We sincerely hope you can make it to the HMI/Logical Engine Webinar, Tom Droste of Estimate Rocket will interview Jeff Cvetezar, President of HMI Company, about using app software for efficient estimating and running your service business. This 30 minute interview is a MUST SEE for anyone in the home repair and service business. You don’t want to miss out on this exciting event! Here are our holiday hours so you can plan your orders accordingly if you need foam or equipment around Christmas or New Year’s. Jesse and Teddy of the HMI service and training department recently visited Beijing, China to deliver an HMI Polyurethane Concrete Lifting and Leveling unit to a new customer. HMI always suggests its trainers work on “real” projects when delivering new units and training customer crews. 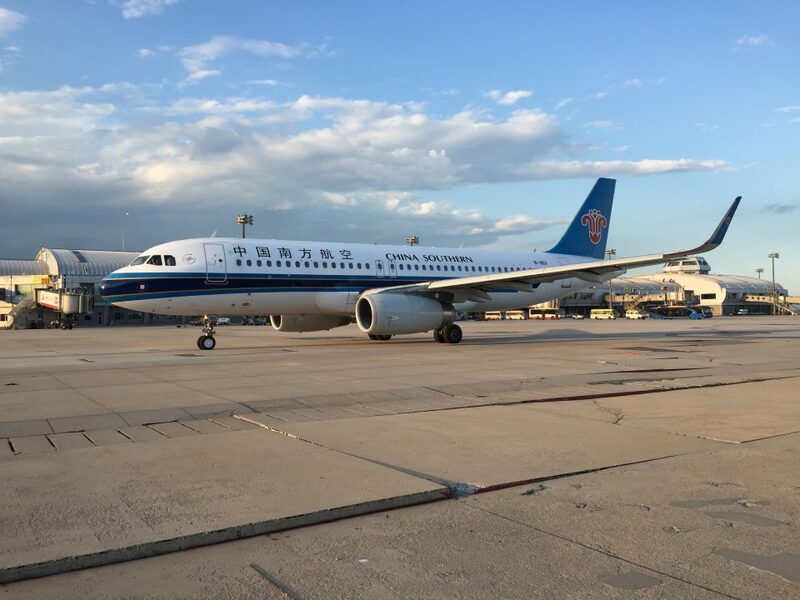 In Beijing, it was runways and taxiways at one of the busiest airports in the world. 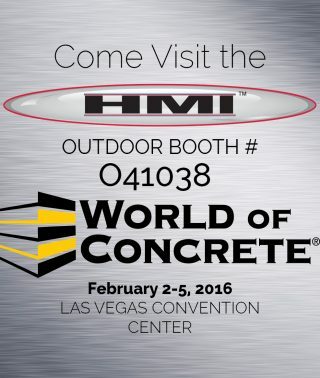 Come See HMI at the World of Concrete 2016! BENEFITS OF ATTENDING WOC:See it all in one place. Find everything you need to win more jobs, make more money and streamline your business.